It has become inevitable that there would be communication and due to the inherent limitation of the human voice, the public address system came to being. A public address or “P.A SYSTEM” is an electronic amplification system with a mixer ,amplifier and loudspeakers, used to reinforce a given sound , e.g a person making a speech, pre-recorded music ,or message and distributing the sound throughout a venue . The voice signal is passed through a microphone , which converts the sound energy to electrical energy, the energy electrical signal being transmitted is been received and amplified by the amplifier circuit. The amplifier’s output is fed into the loudspeaker which converts the electrical energy back to the original form but amplified sound energy. This project is made up of the power supply unit, the pre-amplifier and power amplifier units, and the tone control unit. This system is capable of delivering 20W of electrical power into a 8 ohm load(loudspeaker). A public address system allows you to broadcast information to a large group of people, whether you are giving a speech or playing live or recorded music. Public address systems typically consist of input sources, preamplifiers, control and monitoring equipment, and loudspeakers. Input sources refer to the microphones that provides a sound input for the system. These input sources are fed into the preamplifiers. The pre amplified signals are then passed into the audio power amplifiers. Microphone is a device that converts sound waves into electrical waves. Sometimes colloquially called a micro mike is an acoustic-to-electric transducer or sensor that converts sound into an electrical signal. Microphones are used in many applications such as telephones, hearing aids, live and recorded audio engineering, in radio and television broadcasting and in computers for recording voice, and for non-acoustic purposes such as ultrasonic checking. The sensitive transducer element of a microphone is called its element. Since a wireless microphone is used in this project; a wireless microphone is one in which communication is not limited by a cable. The first transistor (Q1) is the pre-amplifier for the microphone, and you can omit this circuit if you don’t want to transmit the sound picked up by the mic, for example you can connect your mp3 player directly to C1. The core of this FM transmitter circuit is Q2, a modified Culprits oscillator that the frequency is determined by L1, C4, C6, and the transistor’s internal base-emitter capacitance. The antenna use 1/16 wavelength to compromise between the efficiency and the size. If you want the microphone to be less sensitive, we can replace the R1 by a higher resistor, such as 10k or 22k, and this might overcome the feedback problem if you use this wireless microphone FM transmitter for a public address system. The receiver captures the radio waves sent out by the transmitter, demodulates the signal, amplifies it to an appropriate level, and sends it out to the audio mixer. A receiver is an electronic circuit that receives its input from an antenna, uses electronic filters to separate a wanted radio signal from all other signals picked up by this antenna, amplifies it to a level suitable for further processing, and finally converts through demodulation and decoding the signal into a form usable for the consumer, such as sound, and digital data, etc. Loudspeaker is an electroacoustical transducer that converts an electrical signal to sound. A transducer that turns an electrical signal into sound waves is the functional opposite of a microphone. Public speaking is the process of speaking to a group of people in a structured, deliberate manner intended to inform, influence, or entertain the audience. In public speaking, as in any form of communication, there are five basic elements, often expressed as “who is saying what to whom using what medium with what effects?”(W.Kleitz;2005 pg 134). basic electronics and lab practice. I chose to combine basic electronics and lab practice. I chose to combine all these ideas in embarking on this project to develop a special system that utilizes all the above stated knowledge in one system; “the public address system”. Armstrong, E. H. (2008). History of Electrochemistry, Electricity, and Electronics. Eugenii Katz Homepage, Hebrew University of Jerusalem. http://www.geocities.com/neveyaakov/electro-science/armstrong.html. accessed on 10-05-2008. Atti, L. (2007). Audio Signal Processing and Coding. U.S.A: John Wiley-Interscience. Beranek, L. (1954). Acoustics. London: Mc-Graw Hill Books. Boylestad, R., & Nashelsky, R. (1996). Electronic Devices and Circuit Theory, (7th Edition). London: Prentice Hall College Division. Dalton, W. M. (1975). The Story of Radio. London: Adam higher. Dugan, F. (1993). Electronic Communication. New York, U.S.A: Delmar Learning. Floyd, T. (2004). Electronic Devices. London: Pearson Educational Publications. Franco, S. (1988). Operational Amplifiers and Analog Integrated Circuits. New York: Mc-Graw Hill Book Co.
Gibilisco, S. (2002). Teach Yourself Electricity and Electronic. New York: Mcgraw Hill Professional. Great, K. (1990). Advanced Electronics Project. New York: Mc-Graw Hill Book Co.
Horowitz, L., & Hill, W. (1989). The Art of Electronics. London: Cambridge University Press. Hughes, E. (1996). Electronic Technology, (7th Edition). England: Prentice Hall Harlow. Kleitz, W. (2005). Digital Electronics: A Practical Approach. London: Cambridge University Press. Kouwenhoven, M. H. L. et al (2003). Structured Electronic Design, Negative-Feedback Amplifiers. Ghana: Kluwer Academic. Malik, N. R. (1995). 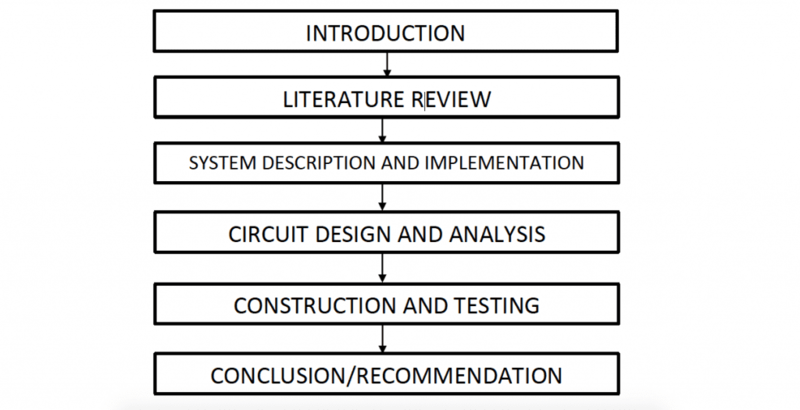 Electronic Circuits: Analysis, Simulation, and Design. Englewood Cliffs, New Jersey: Prentice Hall. Montoro, C. G., & Schneider, M. C. (2007). MOSFET Modeling for Circuit Analysis & Design. London/Singapore: World Scientific. Spencer, R. R., & Ghausi, M. S. (2001). Microelectronic Circuits. Upper Saddle River, New Jersey: Pearson Education/Prentice. Theraja, B. L., & Theraja, A. K. (1998). A Textbook of Electrical Technology. New Delhi, India: S.Chand & Company.